The temperature was 10.1 degrees on 5 o'clock in the morning. 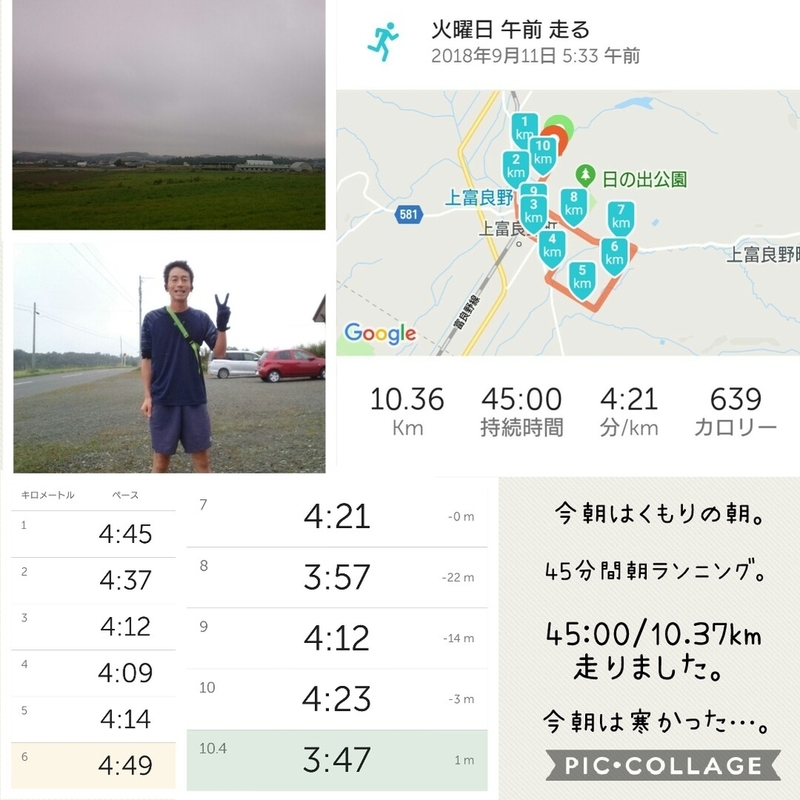 I run around Kamifurano town. I run about 10.4 kirometers. 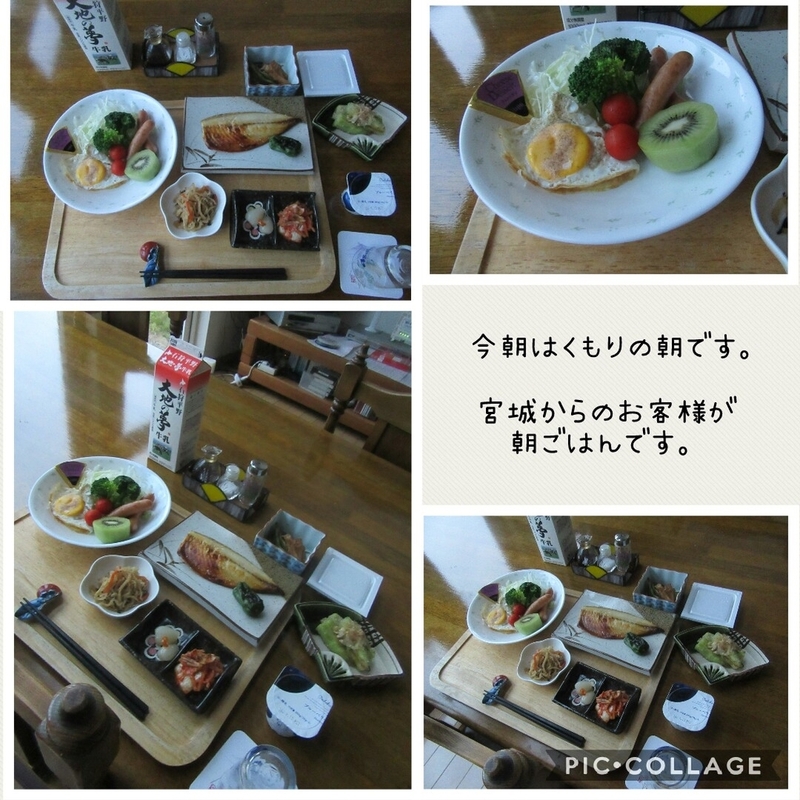 The guest who come from Miyagi had breakfast. 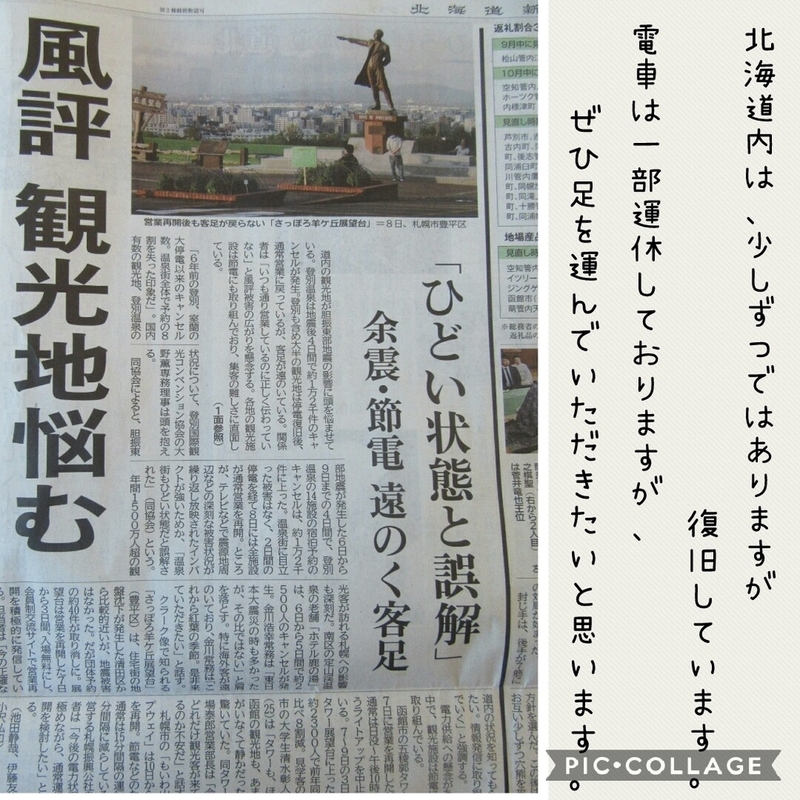 Hokkaido area is recovering progress. Supermarket has few foods. But we can live normal life now. TV news reports some topics, we can live safety. Please come Hokkaido and see the scene. 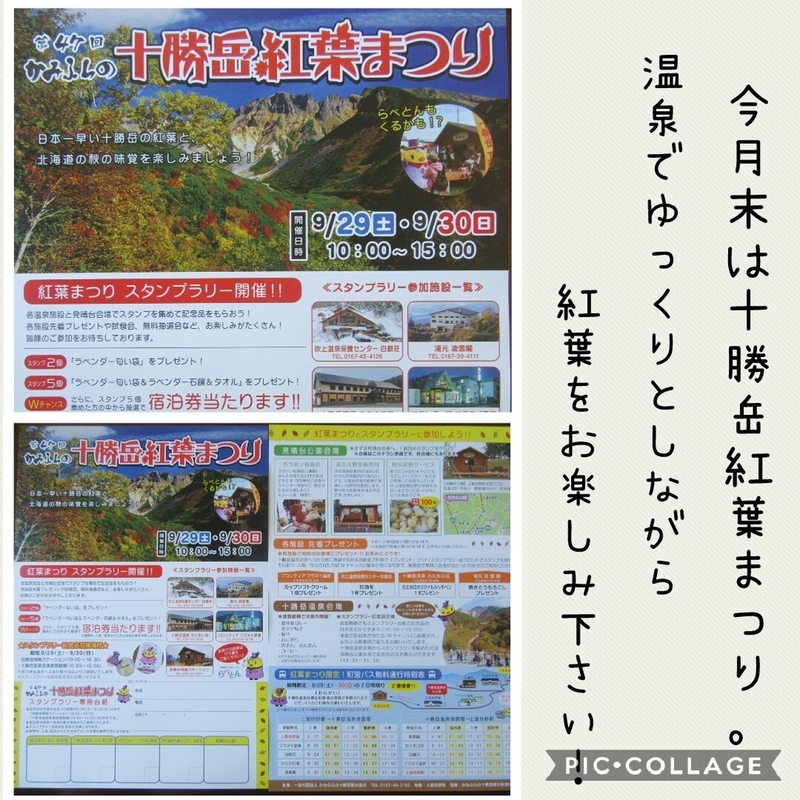 I introduce about event information in Kamifurano. Tokachidake-montain autumn leaves festival on September 29th and 30th. If you collect stamp in hot springs spots and main spot, you can get gifts. Please enjoy beautiful autumn leaves and hot springs. Tomorrow will be sunny in town. We can watch the star clearly. The last is traffic information. JR Furano line will move again from tomorrow. /Tomorrow will be regular service.